I firmly believe the AC-DC power converting electronic circuits are the critical negative factor that hinders the promotion of solid state lighting technology. Given the long lifespan of today's LED packages, the driving circuits and power supplies are the weakest point for most LED luminaires. If the driver fails to work, the cost associated with repairing or compensation might be way higher than the original purchase cost. Sometimes I feel both suppliers and buyers are gambling on the operation life of LED luminaires. They pray for good luck and no critical failure on the key components, especially the drivers. I'm highly skeptical of a product with a too-good-to-be-true price and long warranty. If you feel you're lucky enough in finding a supplier that can offer dirty cheap prices. Pray now for God's love. The LED lights in the middle and high power ranges are, without any doubt, powered dominantly by Mean Well power supplies. Fake Mean Well products have long been a headache for both industry insiders and buyers. These power supplies have poor design and low quality components that could lead to premature failure, system breakdown, fire, or even electrocution. It's easy to find sources that sell genuine Mean Well drivers if you're purely looking for this component. From the internet, you'll find authorized Mean Well distributors. But do pay attention that do not lose yourself in identifying Mean Well's official website. There're many fake Mean Well websites online, such as http://www.meanwell-china.com, http://www.china-meanwell.com. The problem lies in the fact that most luminaire buyers are not able to tell fake from genuine. I'm wondering why Mean Well does not offer anti-counterfeiting solutions such as online traceable labels that can help buyers and end-users safeguard themselves against fraud. 1. Logo (trade mark) - make sure the official "MW" trademark is printed on the housings, circuit boards, and other parts like transforms. There're highly imitated "MW" trademarks and some are even exactly the same but often in a poor copy. 2. Mind the consistency of label prints. 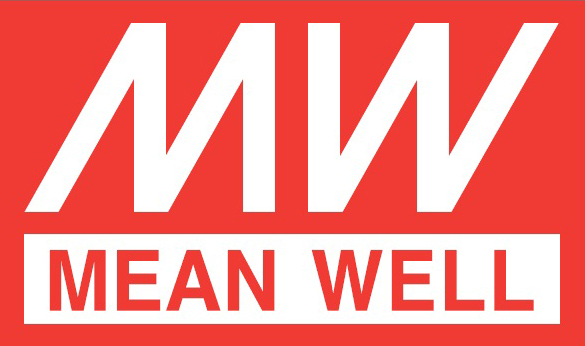 Fake Mean Well products may have labels with inconsistent code (serial number) on different parts or packings. Genuine Mean Well power supplies have serial numbers printed on the housings and switch transformers respectively with the first two digits are the same. 3. Compare the models and specifications carefully. Some models may not be offered by Mean Well but are available on the market. For example the fake model LPV-200-12 is not in the Mean Well range, and its housing is metal but the Mean Well LPV series use plastic housings. 4. Check the workmanship and circuit design for obvious defects. 5. Ask your supplier to provide proof that they bought products from authorized sources. ....Finally, we need your input on tips to identify fake Mean Well power supplies.